Home › News › Is cash king? It has been a good few years for cash. As shown in Graph 1, over the past three years cash (i.e. highly liquid assets, like money market funds and fixed-interest assets, such as Treasury bills) has delivered decent returns, when compared to equities and bonds, with significantly less volatility amid ongoing global uncertainty. 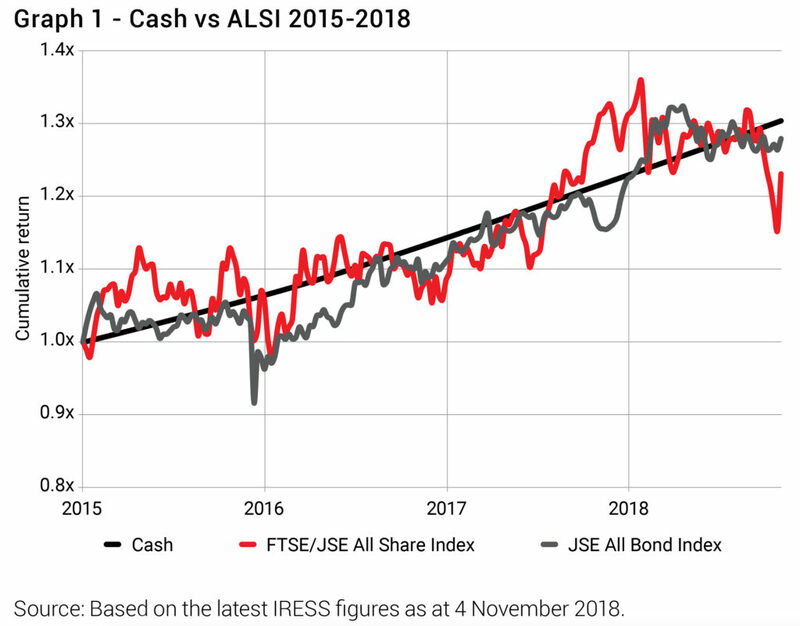 This has been particularly pronounced this year, with cash delivering 6% versus -9.38% for the FTSE/JSE All Share Index (ALSI) as at end October 2018. However, when you look at the same graph over a longer period, a different picture emerges. 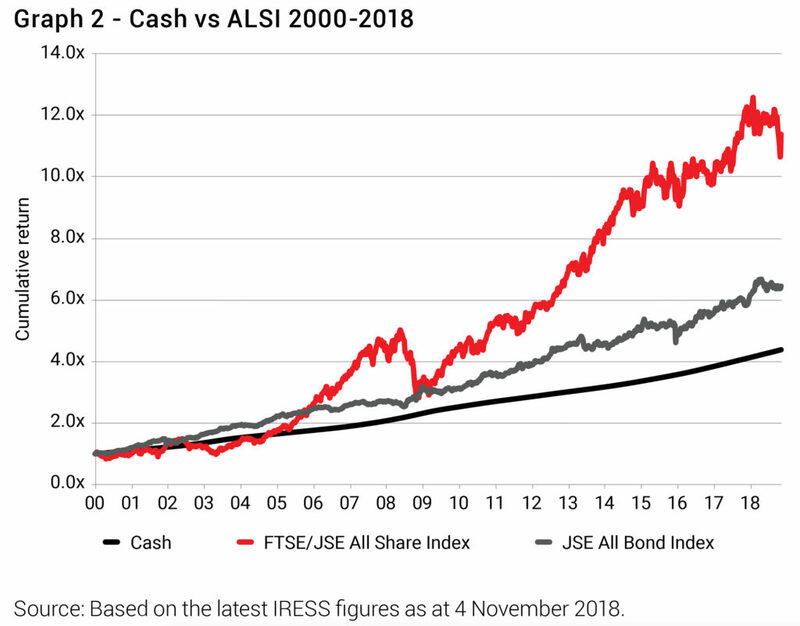 Graph 2, which goes back to 2000, shows that over the long term, cash materially underperforms equities and bonds. Should you take refuge in cash? If, for example, your objectives are capital preservation and high liquidity to cover short-term needs, then cash is an ideal investment – more so now, given its attractiveness. However, investing predominantly in cash as part of a long-term strategy is unlikely to deliver the appropriate returns to grow your wealth. During periods of lacklustre or poor market returns, even the most experienced investors can lose sight of their long-term objectives. This is when the temptation to switch – selling out of your fund and buying into funds/asset classes that are doing better in the belief that you can ‘time the market’ and generate better returns – becomes very real. While there are examples where investors have been able to do this successfully, they are few and far between and it comes down to luck. At Allan Gray, we don’t view short-term volatility as risk; rather we view risk as the permanent loss of capital. This is what happens when investors make knee-jerk investment decisions based on how they feel during periods of underperformance, and switch between funds at inopportune times. Those same investors who want out when the market falls often feel the lure of equities when they are performing well again. This is counterintuitive – investors land up selling out at low points and buying at high points, effectively locking in their losses and destroying value. As economist Javier Estrada wrote after studying more than 160 000 daily returns from 15 international equity markets, “Much like going to Vegas, market timing may be an entertaining pastime, but not a good way to make money.” It makes more sense to base investment decisions on what you need to reach your goals and then stick with the plan, even if this may feel uncomfortable at times. Fortunately in investing, the lower the historic market returns, the greater the potential for improved returns in future. Investors are currently focused on the risks as opposed to the potential upside, which is understandable, but as contrarian investors we are looking for opportunities where we believe intrinsic value has not been impaired to the same extent as the price has fallen. Deciding which asset class to invest in can be intimidating and most investors fall prey to their emotions when making these decisions as opposed to relying on rational thought and researched knowledge. During times of uncertainty or heightened anxiety, it is always worthwhile taking a step back and taking stock of your long-term objectives. If your plan hasn’t changed, it’s unlikely that your strategy should. The best strategy for most investors is to invest in a unit trust that is mandated to invest in multiple asset classes, such as a balanced fund. By doing so, you hand over the asset allocation decisions to an experienced fund manager who can make these decisions on your behalf. The investment objective of the STANLIB Global Property Feeder Fund is to maximise long term total return, both capital and income growth. 3byTwo Financial Planning CC is a Licensed Financial Services Provider #25331. The information on our website does not constitute advice as defined by the FAIS Act. © 2006 3byTwo Financial Planning CC. All Rights Reserved.